My order from Sasa arrived earlier this week. I placed an order because they were having a special of free shippping if you purchased at least $19. There were some items that I wanted to buy for a while so I waited for a sale like this because I hate paying for shipping. The Japanese markets in town sell dolly wink for a whooping $19 each. Sasa has them for 13 and no tax so I purchased some to try out. - Sana Esteny Hard Gel Massage. 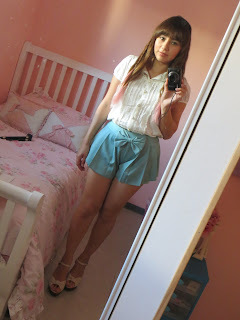 On Friday I went to the mall to buy hair dye and decided to make a stop at Charlotte Russe. It is kind of a Forever21, but I usally don't shop there because the clothes are more geared towards clubbing occasions. This is what I bought. Cat ear headbands like the Ones from One Spo. Don't know why I bought both, I couldn't decide. So I did my hair again, because the pink from last week faded in 4 days. I decided to go Lavender this time. To get my hair color I mixed a lot of conditioner with a little drop of Manic Panic Ultra Violet and Red Passion. I read somewhere online that since Ultra violet is a blue based purple it fades to blue, which then looks green on blonde hair. So I thought of canceling out the blue with a little red. This is the result. I really do like the lavender. My boyfriend said it looks like candy. I think the pink looks better on me because my hair is brown and lavender is a cool toned color and it would look best of platinum hair. I haven't share an outfit since forever. This is from Sunday, and since I took the time to take a picture of I was wearing here it is. I didn't do anything but run some errands, study and at night my boyfriend, his sister and I went to their cousin's house to watch the premier of the 3rd season of The Walking Dead. I'm not really a couch potato, I hardly ever watch TV, because I hate waiting an entire week to see what happens next, and then comes the new episode and another cliffhanger and waiting another week, and so on. But his show is amazing! It's too bad that is only on cable. I honestly starting watching the show because my boyfriend made me watch it. If you've never heard of it here is the plot. 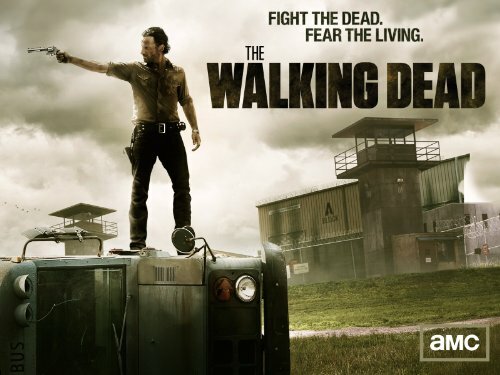 The human race has been infected by a virus, and some have turned into zombies, so the characters of the story are trying to survive in a world that is infested by zombies... they call them walkers. It is gory so it may not be everyone's cup of tea. Lately I've been not so good. I promised myself that I wouldn't do some things. Shop and dye my hair again. I did them anyways. I broke a promise with myself. I died my hair again as you can see in the picture above. It's a brighter pink. The pastel pink I did it first faded in 3 washes and I was back to platinum blonde. I got this color mixing conditioner with Manic Panic's cotton candy pink and red passion. At first I didn't like the color too much because it was this bright emo pink, but in the first was turned into a lighter pink and I like it. On October 1st (that makes it look like I'm writing a diary). I went to get the October issue of Popteen, and oh god it was already sold out! I talked to the clerk there and told me that they don't import as many magazines now because the import taxes went up. So I got a subscription. Being there I bought the September issue of seventeen. Obviously is not a gal magazine. I didn't really like it. Only bought it for the gift. Speaking of Liza, I placed an order yesterday on their online store. I'm so excited. A couple of weeks ago they were selling this lucky bag because the online store turned 1 year. I sadly missed the sale and even the Shibuya 109 website was sold out. I read on tumblr that they had added new items, and I saw the bag in the front page I nearly hyperventilated. They added a limited amount of bags. So I bought it. Of course I will make a post of what's inside once it gets to me. I also purchased this top from the sale section. 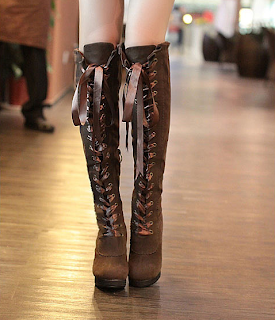 Also I placed another order on Taobao. There was one item that I wanted since my first purchase from there. 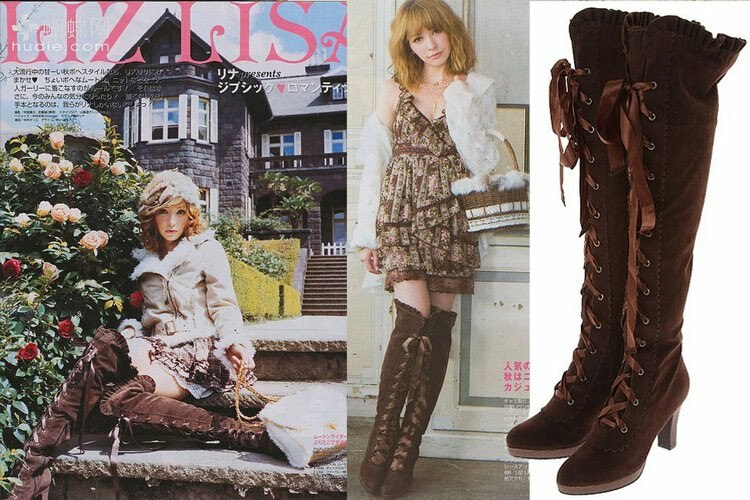 These are not Liz Lisa replica, but they are close to the boots from last year's winter collection.The difference is that these are suede and have a rounder toe while the originals are leather and are pointy. I purchased another Liz Lisa replica. I also purchased this adorable lash storage cases. Well I have more stuff coming in the mail, but if I tell you everything now it wont be as fun, also I should be studying. So I'm ending it here. 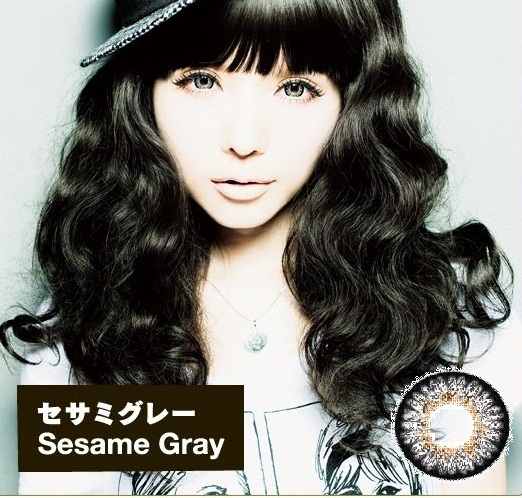 Like the title says, I'm selling a pair of circle lenses. These are the Geo Princess Mimi in Sesame Grey. They don't have a prescription. So you may ask why am I selling them. The reasons are grey lenses don't really look good on me and I'm having buyer's remorse. 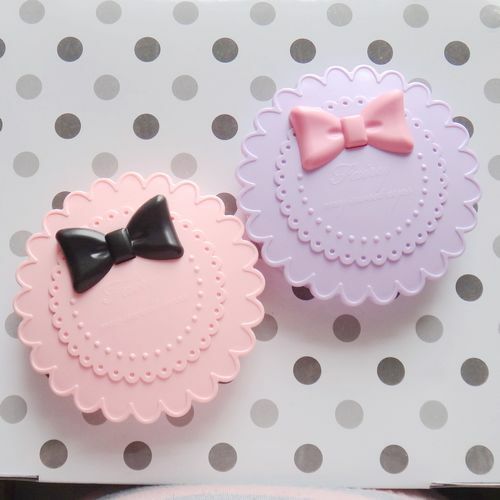 I purchased them form pinkyparadise, I even blogged about it here. So they are legit. Obviously they are brand new. I haven't checked the code so you can do that if you want. So I'm asking $20 for them including shipping. Also sending the animal case I received with them. You can email me at atomicnony@yahoo.com or leave a comment below if you are interested. After a long time consideration I made a purchase on Taobao using taobaospree as my agent. For the ones that do not know, Taobao is the Chinese equivalent of Ebay. Unfortunately you have to use an agent because the majority of the sellers do not ship overseas and you have to have a Chinese bank account to pay. It is mostly cheap, lots of counterfeit items. Some people may not like it because "If you like a brand you should support it by purchasing the original." yes I agree to some extent. 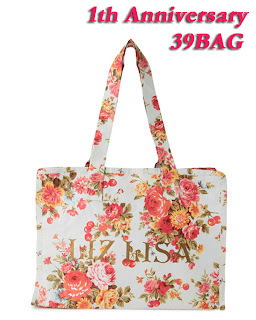 Trust me, if I had the money I would have already purchased every-single item from the Liz Lisa store. But since I don't I can only settle for this. I only purchased 5 items because I wasn't very sure about the quality of the clothes, and also I was worried if I my stuff could get lost in the mail. All the items came in this plastic envelope. I only ordered clothes so there is nothing that could've been damaged during the shipping. My Melody bag. It cost me around $6, I've seen some ebay seller selling the exact bag for $30! I was pleasantly suprised at how nicely the clothes feel. Obviously they don't feel as soft as the real Lis Liza, but it is good enough. The melody bag is so cute, even my mom likes it. I didn't like to much the pink shirt it is kind of a strechy material and the sleeves don't have any buttons. So my fist barely fits in there. 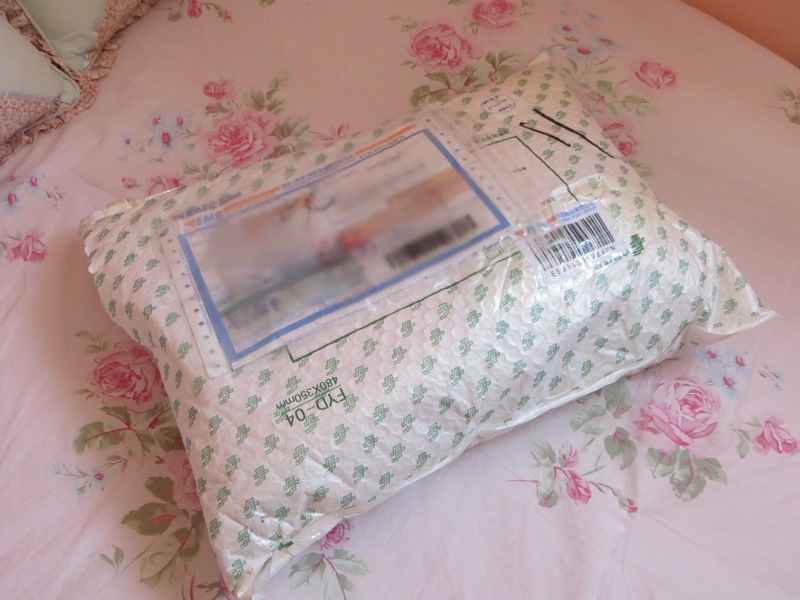 I had a good experience with TaobaoSpree, my agent was Cici, and she was phenomenal, answered every question I had, and they reply super fast! Honestly I can't wait to purchase from there once again, there are so many cute clothes!